I can still remember my mom toiling over her special homemade fudge when I was a kid. Sorry, Mom, but I’ve found a better way. 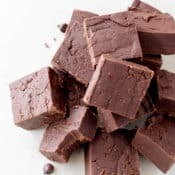 Maybe this 3-ingredient fudge recipe isn’t BETTER than your old-fashioned version, but it delivers a QUICK fudge-fix, which is basically priceless. 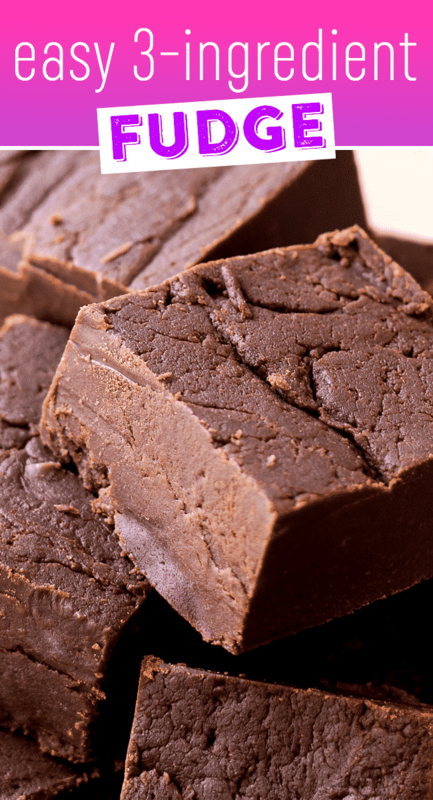 I don’t have any fanciful narratives to weave about this easy 3-ingredient fudge recipe. It’s pretty basic, if I’m being honest, but that doesn’t stop me and everyone else in my family from grabbing a piece or two off the plate every single time we walk by it. Seriously, someone should really slap my fingers at this point because I’ve had a little more fudge than any one person needs! 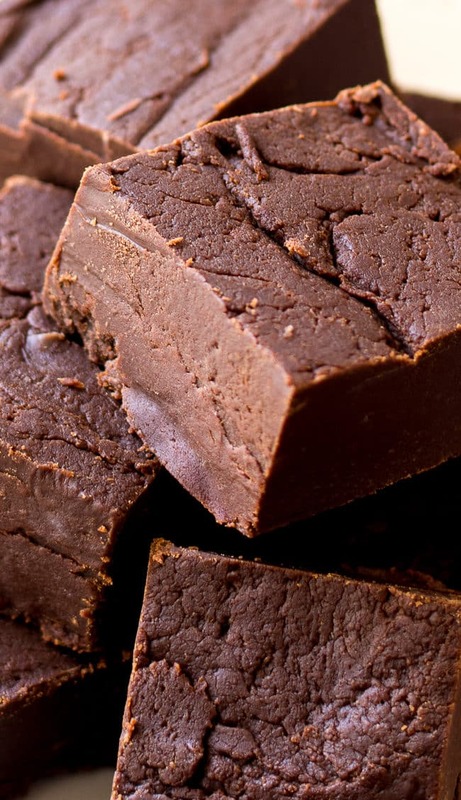 I also love that my beloved microwave does all of the work for this simple fudge recipe. 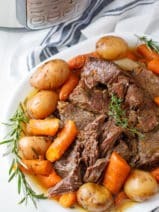 You melt the ingredients, stir them, pour them into your prepared baking dish and refrigerate. Karate-kick–BOOM! 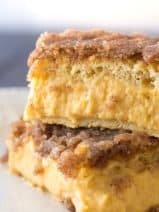 If you’re looking for a fancier dessert for the holidays (or anytime), be sure to check out my melt-in-your-mouth pumpkin cookies, cherry kuchen bars or chocolate chip cookie dough truffles. 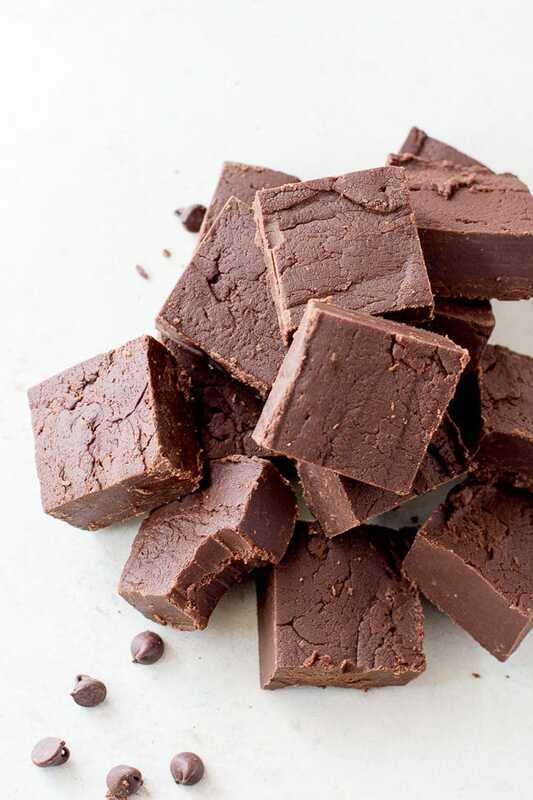 This simple but delicious quick-fudge recipe can be made in minutes using just a few ingredients and the magic if your microwave. It’s proof that delicious doesn’t always mean fussy or complicated! 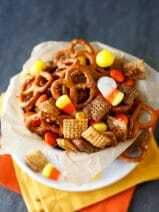 Optional mix-ins: walnuts, candy, pretzels, etc. 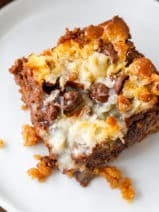 Add semi-sweet chocolate chips, sweetened condensed milk, and butter (or margarine, if that’s all you have on hand) in large microwaveable bowl. Warm in microwave on medium until melted, about 3-5 minute. Be sure to stir about every minute. 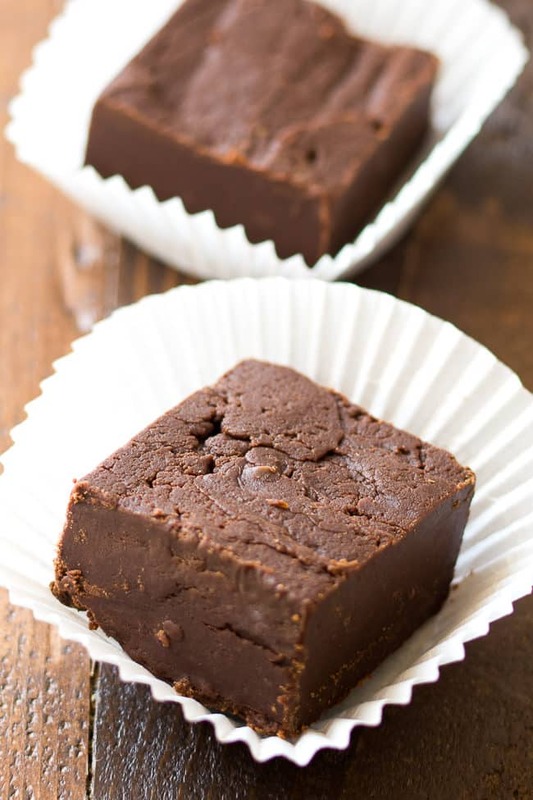 Pour fudge mixture into well-greased 8×8-inch glass baking dish. Refrigerate until set. Sounds good. 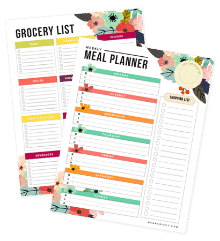 Do you need to keep it refrigerated? Wow It looks so good and fudgy! Can you try and make a recipe for me using the microwave and unsweetened cocoa powder instead of any chocolate chips? I ask because my son ordered me a 6pk of the cocoa from amazon and I need a recipe. You can email me at diabeticsnackerATgmail.com to be sure I see it. I do get your email news. He was supposed to be ordering me the chocolate chips! I use the Borden Sweetened Condensed Milk recipe. No extra butter, no extra fat and unnecessary calories. People call me the “fudge” lady and beg me to bring it to gatherings. Just wanted to let you know that there is no need to add butter. 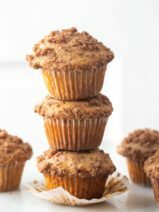 Just when I’m trying to cut down on sweets…you come up with this simple recipe. Maybe I can control myself to make it only when I know a group is going to be around; hmm and maybe not.